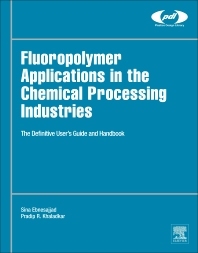 Fluoropolymer Applications in Chemical Processing Industries: The Definitive User's Guide and Handbook, Second Edition, contains the most extensive collection of data and information on fluoropolymer applications in chemical processing industries. Because of their superior properties, fluoropolymers have been rapidly replacing metal alloys for corrosion inhibition in chemical processing equipment. This book is a complete compendium of information about fluoropolymer lining materials and structural piping and tubing. Fluoropolymer surfaces preserve purity of processing streams in the chemical processing, plastics, food, pharmaceutical, semiconductor, and pulp and paper industries. Updated to reflect major changes since 2004, this book contains practical, problem-solving tools for professionals in those industries. Equipment manufacturers, plant operators, and product design and manufacturing engineers all will benefit from the in-depth knowledge provided. This new edition includes new fluoropolymer grades and new examples of the fluoropolymer role in preventing corrosion. New fabrication techniques have been added, and additional emphasis has been placed on adhesion and welding techniques. New sections have been added on inspection of new linings, and in-service inspection – including inspection frequency, acceptance criteria, fitness for service evaluation, and reparability. Pradip Khaladkar retired as a Principal Materials Engineer from Dupont after 37 years specializing in polymer based materials for chemical handling. 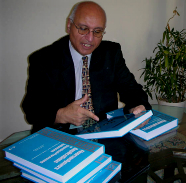 Currently he provides consulting through his firm PECT Consulting LLC.